If you are interested in the paranormal activities and would want to find the energies around you. In that case you should have ghost hunting apps. You should always be equipped with the right apps as you can find the paranormal activities anywhere. As a result of which having right apps becomes more important. There are many apps that you could use in order to get the desired results. In this article I would be listing some of the best ghost hunting apps. You can use these apps using your android and ios devices. The best part about the listed apps would be their efficiency. Since they are available on the respective official app store, you can use them freely without any issue of security. Most of the listed apps would be free but some might require in-app purchase. When it comes to the ghost hunting apps, the first name that comes into my mind if Paranormal EMF Recorder app. This is available for both android and ios users. Paranormal EMF Recorder is free to use app for all the users. This is easy to use app with all the actual readings of electromagnetic readings. You also can get interesting chart and diagrams for designing for all you readings. You have the responsive and device independent app which gives you accurate readings. There is absolutely no need of any expensive instruments that are often shown in the movies. 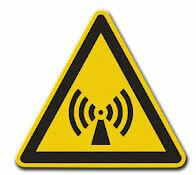 Most of the mobiles have the EMF detection capabilities. These technology is used by this app to give you any sort of changes in the surroundings. 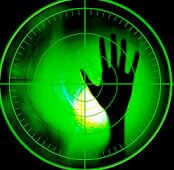 Another great app in the field of ghost hunting is Ghost Radar. It is known as one of the best ghost hunting apps, hence it has been listed on the second number here. This is pretty interesting app that has some pretty convincing meters to detect the paranormal activities. It also have the voice detection capabilities. The app certainly records the special and low voiced words. The users have reported various positive results after using this app. Though, one cannot really prove the results from the app as the correct or an evidence, hence the developers have clearly stated that this app should only be used for entertainment purposes. 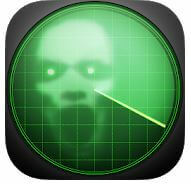 Ghost Detector is another use full app when it comes to ghost hunting apps. All you need to do is to install the apps and look for something interesting. Once the app has found some thing interesting or a free spirit or a ghost, you can talk to the ghost instantly using this app. You can ask all the questions and get the answers to your questions as well. Users of android and ios can install this app for free and use it for ghost hunting. The developers have also stated that the paranormal activities cannot be verified scientifically, hence they do not take any responsibility for the orginal chat with the ghost. As a result of which this app should only be used for entertainment purpose. With the name itself, you might be able to understand, what is this app used for. You can easily detect and hunt ghosts using this app. Since it has meters like EMF meters, EVP detection meters. Even a complete beginner to ghost hunting can use this app and use it perfectly. The app consists of EVP analysis with the over 1000 words. This provides a strong hold over the ghost detection technique. It also indicates the history graph which you can use to detect the power, intensity and power of the spirit or the ghost. The developers state that, if you a reading on your app then you should slow down so that the meters that are present in the app can do their work perfectly. 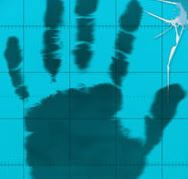 Ghostcom spirit detector app is another app that is widely used as a ghost hunting apps. This is a fun and entertaining app that could be used on the night out with the friends. The ghost here will tell you about your love life, friendships health and career. Hence this could be highly entertaining app that you could use. You can get personal spiritual messages and also locate the spirits that are around you. It also has got all in one ghost hunter tool kit. It is a great addition to the tool kit of the hunters. This app delivers the results and lets you know about the details of ghost and spirits around you. You will get all the details like zodiac sign, spirit type, colour, stone, emotional state of the ghost.